Super Bowl Sunday often means eating a super-large bowl of junk. Here are 5 recipes to include this year that give the flavors you want and none of the questionable ingredients you don't! Let's cut right to the chase. For many of us, America's biggest unofficial holiday has more to do with the grub (and of course commercials) than the score. But too often, Super Bowl feasts are ruled by, well, junk. All the trashy sausages, calorie-bomb dips, and piles of miscellaneous nacho toppings pile up around us, making it seem like healthy food simply isn't welcome on game day. It should be! This year, call an audible and take game day food into your own hands. 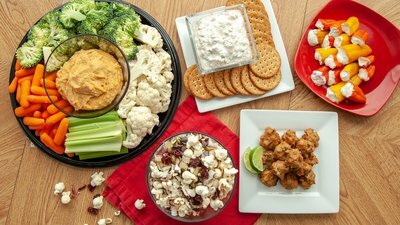 Pack your table with snacks that are undeniably nutritious, but also dish out enough salty, creamy, and decadent flavors to keep the H-word (healthy) from being uttered. Here are five I've found to be popular enough that you may see people fighting over the final scoop by the end of the halftime show! Smoked salmon provides a dynamic duo of high-quality protein and those overachieving fats known as omega-3s. It's also just straight-up delicious, especially when paired with dill, lemon juice, and something creamy. That store-bought seven-layer dip can't hold a candle to this in taste or ingredients! To defend against the blitz of caloric overload, opt for reduced-fat Greek yogurt and sour cream, instead of the full-fat versions or mayonnaise. Jerky is a stellar source of protein that shouldn't be limited only to road trips. The parched meat is a perfect way to jazz up a game-day snack mix. 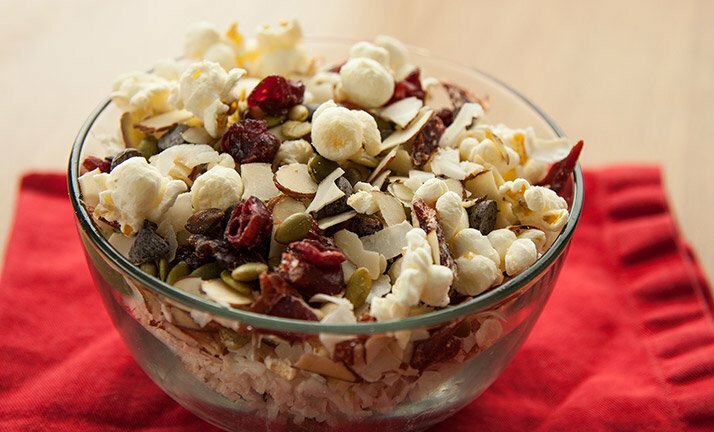 Popcorn adds some low-calorie volume, which makes this snack extra-filling, so you won't feel compelled to OD on the sketchy fare your friends brought to the soiree. In fact, this sweet-and-salty riff on trail mix has a powerful combination of protein, fiber, and healthy fats to help quell hunger and any risk of stuffing yourself silly. A bit of dark chocolate should help curb cravings for your neighbor's chocolate chip cookies. 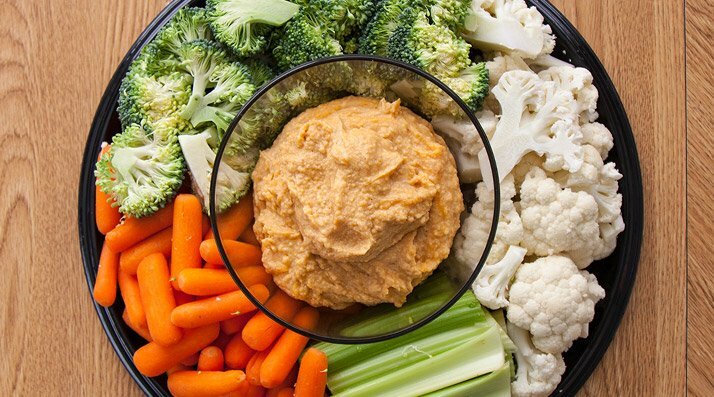 Sure, you may be able to pick up a container of hummus at your local store, but you can just as easily whip up your own protein-packed version. 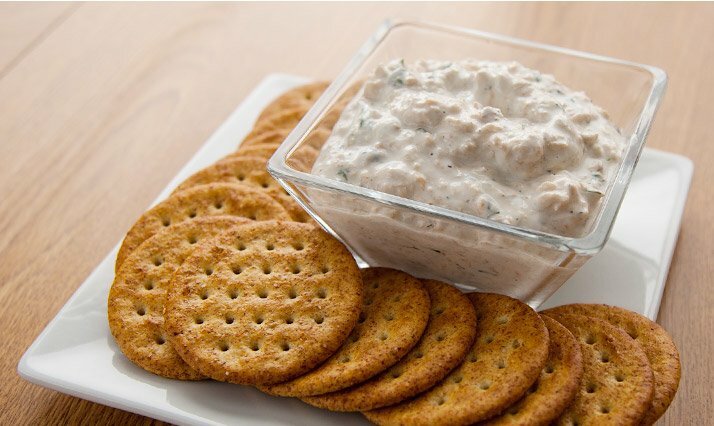 The flavor of sweet potato lends itself well to the nutty tahini, making this a must-dip for any vegetable, cracker, or finger! Plus, you take the macros to another level with the inclusion of flavorless protein powder. Don't worry, this won't taste like hummus that someone spilled a protein shake into! 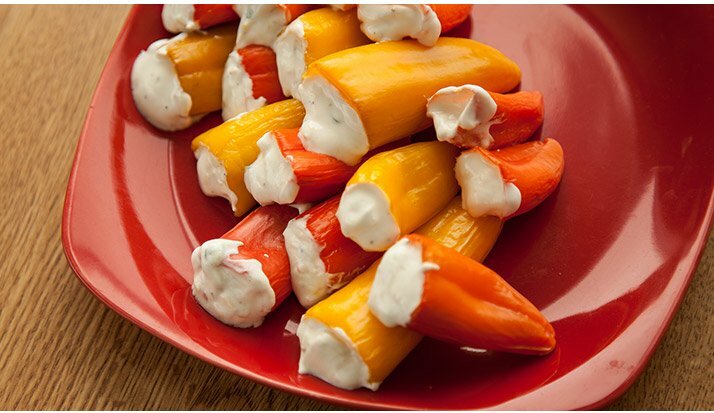 This creamy finger food is certain to satisfy the salty, spicy, crunch you expect around the TV on Sundays. Greek yogurt paired alongside a hint of heat lives well within a crunchy pepper, and is reminiscent of your favorite nacho dish. Plus, these low-calorie bites take next to no time to make, which will help ensure you don't miss the oh-so-funny commercials preparing food. These portable protein balls are stuffed with star-studded tuna, which will ensure you're reeling in high-quality protein with each bite! Plus, they've got just enough Asian-inspired zing to get you out of your seat yelling for your team—and then heading back to the table for more. Try to prep these guys ahead of time, aiming to have them finished cooking 15 minutes before kickoff so everyone can enjoy them warm.